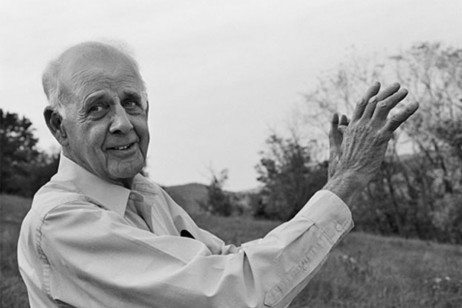 Poet, novelist, philosopher, environmental activist, cultural critic, and farmer Wendell Berry will present the next Chubb Fellowship Lecture as a guest of Timothy Dwight College and theYale Sustainable Food Project(YSFP). Berry will appear for a public conversation at 2:30 p.m. on Saturday, Dec. 7 in the Shubert Theatre, 247 College St. The event is free and open to the public, but tickets are required. Tickets will be available beginning on Tuesday, Nov. 19 from the Shubert Theatre box office. A pioneering and influential advocate for change, Berry has spent more than 50 years helping to shape the movements for agricultural and ecological sustainability. His poetry and essays flow from the rich agrarian tradition of American writing, and Berry’s relationship to his Kentucky farm has been compared to that of Thoreau’s to the forest — a place that nurtures his thinking about the value of physical labor, self-sufficiency, and communities of people living in harmony with the natural world.